The new, activist-run Worcester TaxPayers’ Alliance have made a splash with their very first story about Worcestershire County Council. 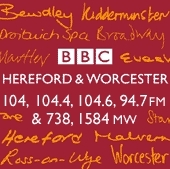 The release, about how the county council increased their spending on staff by £44.6M between 1997 and 2007, was the number one headline on this morning’s BBC Radio Hereford & Worcester news bulletin and the Alliance’s Chris Whittington appeared on the breakfast show to put the taxpayers’ view across in the face of defensive and dismissive council opposition. We also expect the story to be covered in the Worcester News, putting this local group on the map. This is a fantastic start to this local campaign and all the activists have made a fantastic combined effort to build-up this momentum! Worcestershire County Council representatives may well choose to scoff and give every excuse in the book as to why they can’t cut-back their expenditure, but they should bear in mind that they are scoffing at local taxpayers, that’s those who shell out money for services and salaries and – more importantly – vote. The numbers of supporters in the Worcester area is increasing all the time, and with growing support let’s hope the Worcester TPA can continue to make a big impression and force local bodies to look again at their budgets to review where they can make savings in the interests of local residents.